Making harmonious music is a natural thing for siblings. There usually is a high level of harmony – onstage and offstage (unless you’re talking about The Kinks, Oasis or the Black Crowes). 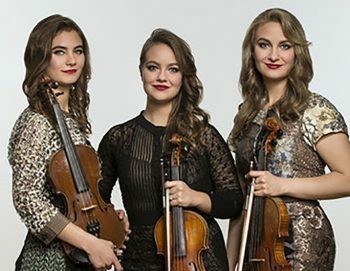 Three siblings who get along great onstage and offstage are the Quebe Sisters, who will headline a show on September 6 at the Sellersville Theater (24 West Temple Avenue, Sellersville, 215-257-5808, www.st94.com). “My sisters and I started playing music for fun,” said Hulda Quebe, during a phone interview last week from a tour break in Philadelphia. “We grew up in Krum, Texas. We never thought we’d play music professionally as fiddlers. We just played little Suzuki violins. It was fun. “Our teachers were Sherry McKenzie and her husband Joey McKenzie, who was a professional fiddler,” said Quebe, the youngest of the three. “We’re doing a whole lot of touring,” said Quebe. “We’ve also been working on writing and arranging a new album. 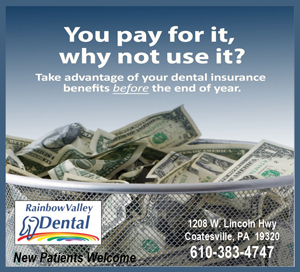 So, we’ll have a bunch of new songs for our audience ibn Sellersville. We were recently in the studio for a few weeks working on new material. It’s a private studio in Austin that has a great collection of vintage gear. “Our first album in 2003 — ‘Texas Fiddle’ — was an all-instrumental album. We weren’t really a band yet. We’re proud of that album. We were kids and we did a good job. One of the people who recommended we do vocals was Ricky Skaggs. He invited us to play the Grand Old Opry. “In 2005, we started singing in our own shows,” said Quebe. “We’ve been working on building our fan base and finding our sound musically. The show at the Sellersville Theater, which has The Levins as the opening act, will start at 8 p.m. Tickets are $25 and $39.50. Other upcoming shows at the Sellersville Theatre are The Willis Clan on September 7, Red Molly on September 8 and Oz Noi & Ozone Squeeze on September 12. 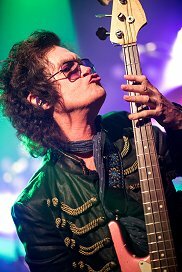 Glenn Hughes (also known as “The Voice of Rock”) is a British musician who was a founding member of Trapeze, a rock band from the Midlands, in 1969 and who had a brief stint as lead vocalist for Black Sabbath. But, Hughes is most known for his time spent as bass player and vocalist for Deep Purple in the mid-1970s. Hughes left Deep Purple in 1976 after recording three albums with the British heavy metal pioneers – “Burn” (February 1974), “Stormbringer” (November 1974) and “Come Taste the Band” (October 1975). The highly-acclaimed vocalist separated from Deep Purple but never separated from DP’s songs from that era. After completing a successful South American and European festival tour, Hughes brought his “Classic Hits of Deep Purple Live” tour to the United States. The 18-city tour touches down locally on September 7 for a show at the Keswick Theatre (291 N. Keswick Avenue, Glenside, 215-572-7650, www.keswicktheatre.com). “I’ve been planning this tour for a long time,” said Hughes, during a phone interview Wednesday evening after soundcheck for a show at Jergels in Pittsburgh. Since 1992, Hughes has toured extensively in Europe, Japan and South America in support of solo albums. Hughes was inducted into the Rock and Roll Hall of Fame as part of the Mark III line up of Deep Purple on April 8, 2016. The “Voice of Rock” is performing various hits and deep cuts from the illustrious Deep Purple catalog including “Burn,” “Stormbringer,” “Sail Away” and “Smoke On The Water.” Hughes is focusing on arrangements from the live albums rather than the arrangements found on the studio recordings with the intention of giving fans even more insight as to what it was like seeing a Deep Purple show during the 1970s. “I wanted to do it this way rather than do short versions of the songs as they were on the albums,” said Hughes. “Deep Purple was always at its best as a live band. I want this show to have angst, aggression and a little muster. “I wanted to do songs that will transpose well to the stage. I cherry-picked the songs that I thought would be best for this tour. The show runs exactly one hour and 15 minutes and it is intense the entire time. Video link for Glenn Hughes – https://youtu.be/Bb9mzNok9Qc. The show at the Keswick Theatre will start at 8 p.m. Tickets are $39.50 and $49.50. 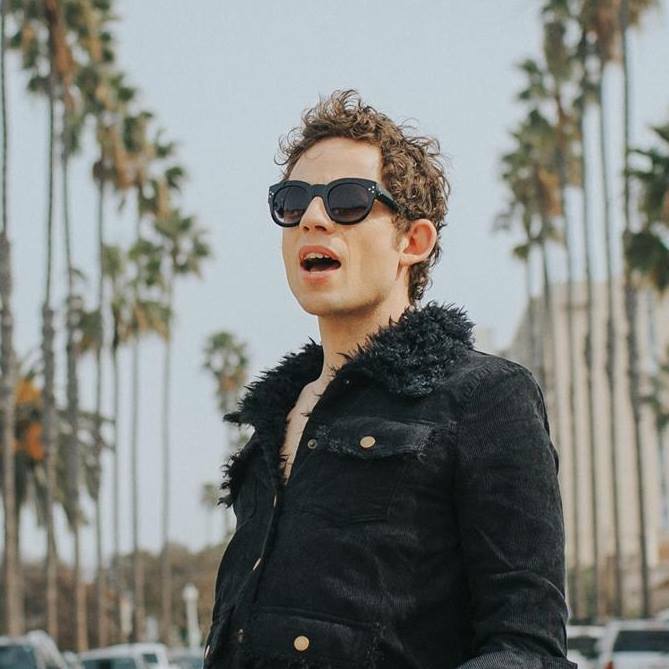 Over the past few years, Bernhoft has been building a strong fan base in North America and has returned to the states for a two-week tour — a tour that brings him to the area on September 7 for a show at the Foundry at Fillmore Philadelphia (1100 Canal Street, Philadelphia, 215-309-0150, www.thefillmorephilly.com). In the past, Bernhoft was mostly a solo act. “I felt that it was the right time to put a band together,” said Bernhoft. “For a long time, I performed solo or with a maximum of two people. With this band, we just have a very nice energy playing with each other. I found myself writing for these guys instead of just writing for myself. In December 2014, it was announced that his album “Islander” was nominated for a Grammy Award for Best R&B Album for the 2015 Grammy Awards ceremony. His nomination is remarkable, as he was the first non-American artist to have been nominated in the 20 year-history of this US-dominated category. “Humanoid” is the full-length follow up release to “Islander.” Bernhoft’s other recordings are the “Solidarity Breaks” album in 2011 as well as EPs “Stop/Shutup/Shout It Out” (2016] and “The Morning Comes” (2017). “Both my parents were musical,” said Bernhoft, during a phone interview Wednesday afternoon as he travelled along the New Jersey Turnpike on his way to a tour stop in Washington, D.C.
“I was exposed to a lot of music and it just seeped in. My parents got me a violin when I was four. I didn’t really like it that much. They gave me a flute when I was nine and I got pretty good on it. I had a masculinity crisis so, when I was `12, I switched to tuba. “I also started playing guitar at that time. Iron Maiden was my first big influence — then AC/DC and that led me into Chuck Berry and American R&B. Eventually, rock and roll took my life away. I played in a band and started singing because no-one else in the band could sing. “I was listening to rock and American soul. When I was 18, a friend lent me a Sly and The Family Stone album. It defined my relationship with soul music. I put the album on and was nailed to the wall. I started diving into the whole thing and tried to discover the roots of soul. Stax Records became a huge influence for Bernhoft. The Memphis-based label focused on Southern soul, funk, jazz, and blues recordings and featured such stars as Otis Redding, Isaac Hayes, Sam and Dave, Carla Thomas and Eddie Floyd. The label was known for its output of Afro-American music but was founded by two white siblings and business partners. It featured several popular ethnically integrated bands including Booker T. & the M.G.’s (which featured a drummer and a keyboardist who were black and a guitarist and a bass player who were white). “I listened to all the early Stax recordings,” said Bernhoft. “That was so tremendously important to me. That showed the power of music. Great music can make everyone in the room pull in the same direction — no matter what color they are. “I’m a bit of an outsider in my home country. In Norway, the soul scene consists basically of me. The music scene there is mostly indie-rock. I’m loosely affiliated with that scene but I’m a loner. “Basically, it was a theme about reconnecting with humanity – how to re-ignite the urge to talk to someone without emailing them or texting on the phone,” said Bernhoft. Video link for Bernhoft — https://youtu.be/VfLVjcjjYcE. The show at the Foundry will start at 8 p.m. Tickets are $18. Other upcoming shows at The Foundry are Strung Out, After the Fall, and Make War on September 9, Dodie on September 10, Donny McCaslin Group on September 11 and Vinyl Theater on September 12. On September 7, there will be a show at Bourbon and Branch (705 North Second Street, Philadelphia, 215-238-0660, bourbonandbranchphilly.com) featuring two acts that 70 years ago could have been comfortable hopping freight trains back-and-forth across the country – Gabriel Kahane and Sunny War. Kahane spent a good chunk of time recently riding the rails all around America – in the comfort of Amtrak coaches with sleeping compartments. As a composer of concert works, Kahane has been commissioned by Carnegie Hall, Los Angeles Philharmonic, Oregon Symphony, American Composers Orchestra, and Orpheus Chamber Orchestra, with whom he toured his WPA-inspired “Gabriel’s Guide to the 48 States” in 2013. He has appeared as soloist with the Los Angeles Chamber Orchestra, Colorado Symphony, the St. Paul Chamber Orchestra, and A Far Cry. An avid theater artist, Kahane’s musical “February House,” with playwright Seth Bockley, premiered at the Public Theater in 2012 and was recorded by the StorySound label. A two-time MacDowell Colony fellow, Kahane has performed and/or recorded with artists ranging from Sufjan Stevens, Andrew Bird, Blake Mills, Chris Thile, and Brad Mehldau, to Jeremy Denk, yMusic, and John Adams. He is a graduate of Brown University and resides in Brooklyn. 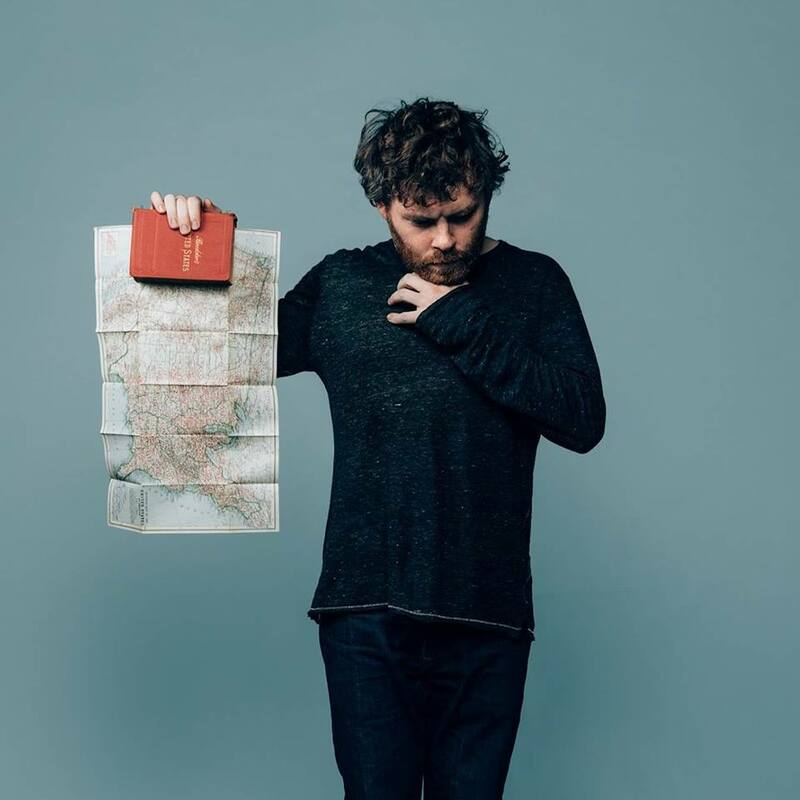 Kahane is now on tour in support of the album that was inspired by his trip. “Book of Travelers,” which came out August 24 on Nonesuch Records, is a 10-song musical travelogue Kahane wrote after the journey he embarked upon the day after the country was in shock over the results of the 2016 presidential election. He left behind his cell phone and other internet-connected devices and spent the next two weeks with dozens of strangers whose stories are woven into the cycle. The music is drawn from a longer work that has been performed at Brooklyn Academy of Music (BAM), among other venues, as “8980: Book of Travelers,” a production conceived in collaboration with director Daniel Fish and designer Jim Findlay (set and video design) with lighting by Mark Barton. “I had been writing on a commission from BAM to follow up the ‘Ambassador’ album,” said Kahane, during a phone interview Wednesday from his home in Brooklyn. “I was sort of interested in transit – especially since I did a lot of travel supporting ‘Ambassador.’ I thought about travel from religious pilgrimages centuries ago to the Great Tours in Europe in the 18th and 19th centuries to travel and leisure in the United States today. “At first, I was looking at it in a cerebral way. I was also looking at the rift in politics. It’s always there but the bandage was torn off in 2016. “I wanted to get out of New York. About four weeks before the election, I decided I was going to start the trip the morning after the election. Learning from history, one of the big lessons is that nationalism flourishes when there is economic discontent. Kahane wrote in the New York Times: “Where much of the digital world finds us sorting ourselves neatly into cultural and ideological silos, the train, in my experience, does precisely the opposite. It also acts, by some numinous, unseen force, as a kind of industrial-strength social lubricant. 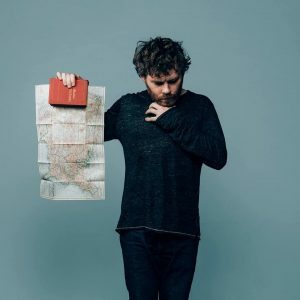 Video link for Gabriel Kahane — https://youtu.be/KjSaErHKV7M. “I started recording ‘With the Sun’ in 2017,” said War, during a phone interview Wednesday afternoon from her home in Los Angeles. “It didn’t take that long. I think we were recording about three weeks. “I made it at Hen House Studios in Venice (CA). I met producer Harlan Steinberger who owns the studio. They have their own projects and don’t usually rent out the studio. We just had a contract that we were going to do this album. I think I had 12 songs. Then, I wrote ‘Static’ and ‘The Change You Make’ when we were recording the album. War (born Sydney Lyndella Ward) was born to a single mom in Nashville and had a nomadic childhood. She lived in Denver, Detroit, San Francisco and Portland before “settling down” in L.A.
“I think the songs on my new album are similar, but there is no real theme,” said War. 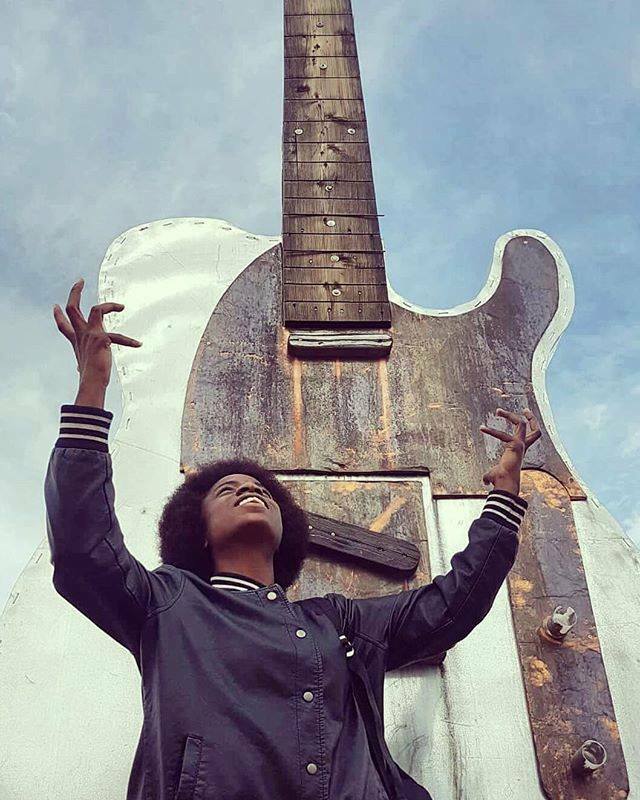 “A lot was going on when I was writing the songs – Bowie and Prince dying, Trump getting elected, unarmed black people getting killed by police. And, I had been in an abusive relationship. “Surprisingly, some of the songs on ‘With the Sun’ are happy, which is different for me. Still, most of the songs on the album are sad songs. War’s music sits at the intersection of blues, folk and punk. Video link for Sunny War – https://youtu.be/i1bj0oY3yww. The show at Bourbon & Branch will start at 7 p.m. Tickets are $20. Other upcoming shows at the venue are Matt Kelly on September 6, Lucy Spraggan on September 8. Trach Boy on September 10 and Lucas Biespiel on September 12. Kennett Flash (102 Sycamore Alley, Kennett Square, 484-732-8295, http://www.kennettflash.org) is presenting Alejandro Escovedo with Don Antonio at the Kennett Square Mushroom Festival on September 8. The Magpie Salute on September 8, and The Movement + Giant Panda Guerilla Dub Squad on September 12. The Queen (500 North Market Street, Wilmington, 202-730-3331, www.thequeenwilmington.com) will hoist Taj Mahal on September 6, Get the Led Out on September 7, and “Future Stars Show” on September 8.